So rarely do we hear about high school sweethearts, but these two are just that. They've been together for many years and even made a handsome and sweet little dude named Luke. All the years made no difference and it was clear when I saw the light and pure joy in Karina and Franks's eyes as they finally said their "I dos." Like a couple young and new, giddy with excitement, but still well aware of all the hard work that goes into making a marriage last. Their day was near perfect. Opal Beach in Pensacola made a gorgeous, turquoise backdrop for their wedding. A light breeze blew with just enough strength to keep dresses flowing and everyone from melting! Simple and tasteful decor was set up by the Serene Occasions team and the pretty cake was made by Kim's Cakes. 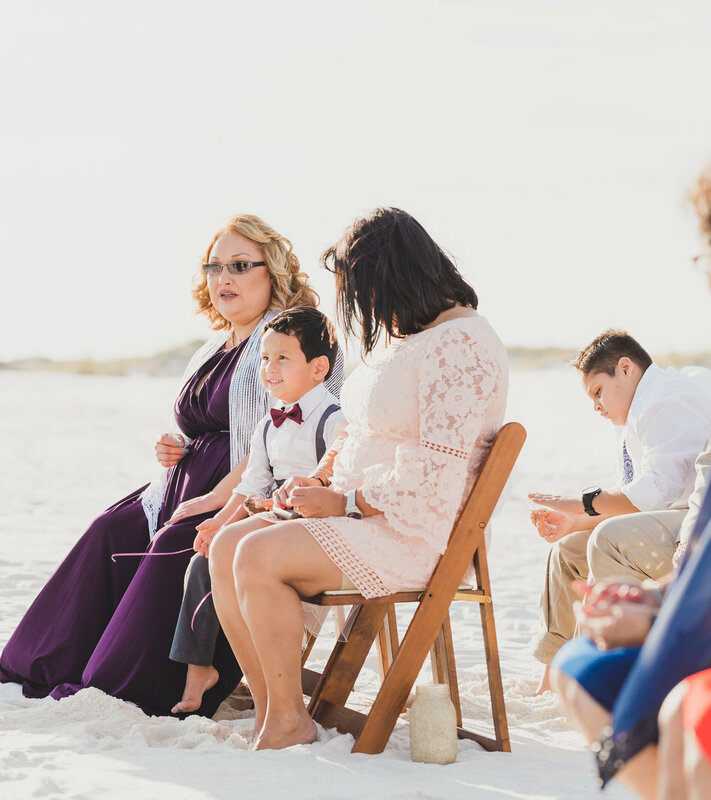 On the shores of that beach, Karina and Frank's closest family and friends watched them come together for the rest of their lives. Their ceremony was officiated by the amazing Marie Di Giovine. 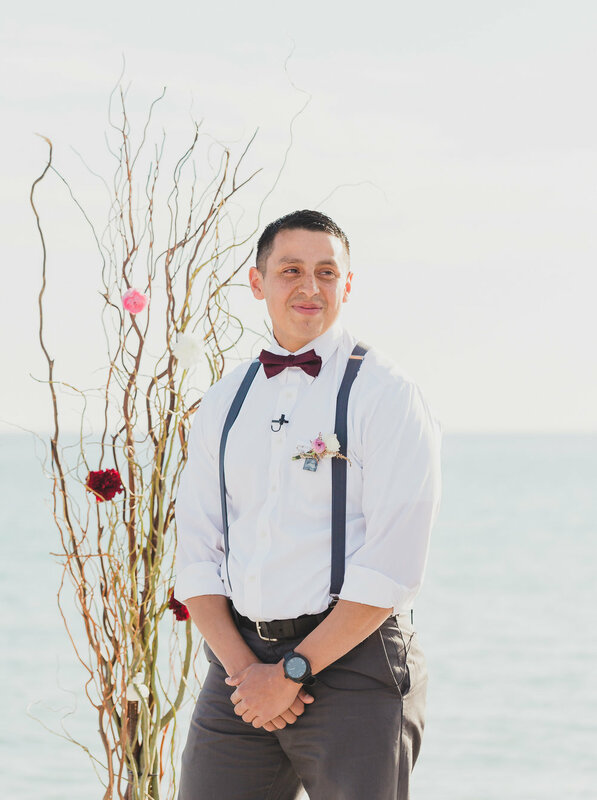 Marie was so awesome at officiating a tear filled ceremony, making sure Karina looked her very best, keeping the couple centered, and even stepping to the side for the epic shots! The music was played by Emily Stubblefield. They cut their adorable cake and shared a toast, then it was time for my favorite part: the portraits! They ROCKED it and I could not be happier with how easy they made my job. Karina looked stunning in her Simply Elegant Bridal gown and had her hair and make up done by the awesome Kendra Franklin. Congratulations you two! I just KNOW great things are in store for your little family.